Google's glasses are not for sharing, company warns. FILE ART - Lt. Gov. 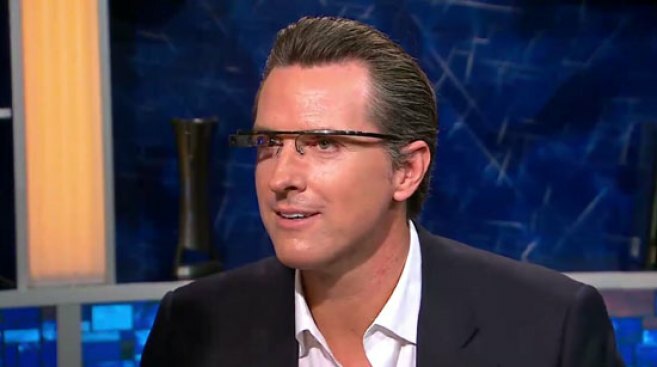 Gavin Newsom wears a pair of Google glasses. With great Glass comes great responsibility. And great rules and restrictions from the bosses at Google. Such as, no sharing. And definitely no selling. Customers lucky enough to win the right to purchase a $1,500 pair of Google's Project Glass computerized glasses also have a strict set of rules, according to Business Insider. And if you do let your spouse, child or dog take a look at the world through Google-colored glass? Stiff penalties, including deactivation of your device, await. Wired reports the following rules in the Glass terms of service. Google will be able to track exactly who's on Glass because each device is hooked to a specific user's Google account, the news source reported. "So if the device switches accounts, Google could deactivate it," Business Insider reported. These rules apply only to the beta version of Glass, the "Glass Explorer Edition" that was made available to limited numbers of people. It certainly applies to Project Glass you may see on eBay or elsewhere for sale, Business Insider reported. Caveat emptor: You may be buying a $1,500 pair of not-particularly-attractive sunglasses.